Italy isn’t all Gucci handbags and Ferrari’s. We live here on under £121 per week. This is how you can too. Firstly, you need to think about what you want out of life. It’s easy to find yourself on a treadmill of working long hours just to pay the bills on a house you don’t spend much time in. Before you know it your family have all grown up and flown the nest. You deserve some quality time for yourself without the worry about paying bills. Society has trained us to want more and more material things to make a good impression. When you move to Italy you can have a good clear out and concentrate on what you really need. The first liberating experience is getting rid of your mortgage. 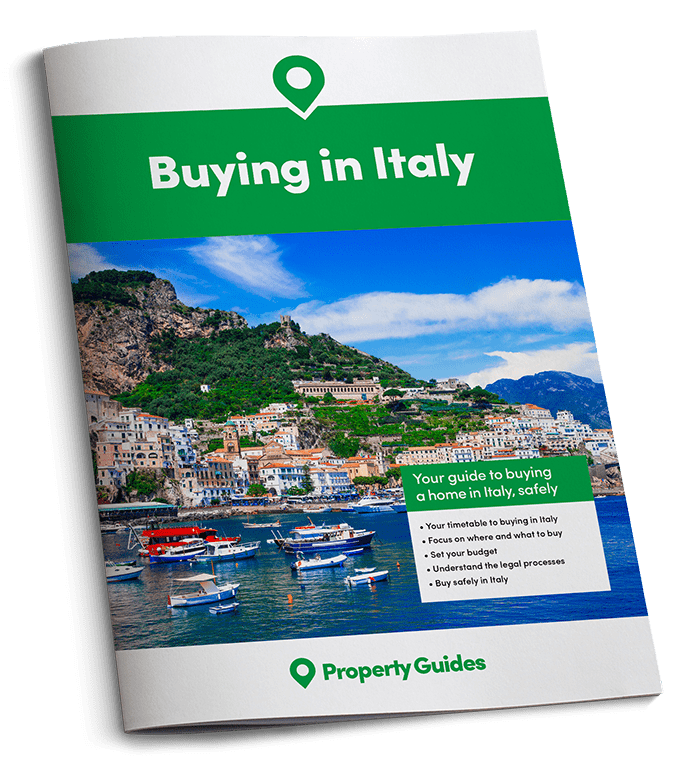 Selling your house and only using the profit to finance your new life in Italy is a great position to be in. But don’t be tempted to spend the whole lot on a big house. It’s easy to get excited about how large a house you can afford, but do you really need all that? It’s easy to get excited about how large a house you can afford, but do you really need all that? I’ve seen couples wanting to buy a five-bedroom house; just so all their friends and family can come and stay. But in reality, they don’t all come at once and after the initial novelty you’ll be lucky if they can manage one week a year out of their busy work schedules. The chances are they’ll want to visit when the weather is at it’s best, so that big living room and kitchen/diner won’t get used. Before long you’ll wish you’d spent the money on a covered veranda and outdoor seating instead. To keep your bills to a minimum, avoid the tourist hotspots and look in the countryside and small villages. Just outside a town is ideal as you benefit from a beautiful countryside setting and yet still have shops, doctors, hospitals, vets etc. within a short drive or cycle ride. Owning and running a car isn’t cheap in Italy, so keeping journey distances down to a minimum will save you money. Diesel currently costs €1.39 and petrol €1.55 a litre. Car insurance is also expensive. We currently pay €820 per year for a 2.2 litre estate car. The car MOT costs us €70 every two years and road tax €290 per year. Living costs in the southern regions of Apulia, Basilicata, Calabria and Sicily are generally less than the northern regions. Not only are taxes cheaper, but due to the milder weather your heating bills will also be lower. Anywhere that has low-cost properties is also likely to have lower taxes. A farmhouse in the stunning mountains and rolling hills of Abruzzo and Le Marche can work out much cheaper than Tuscany. Country homes often don’t have rubbish collection, just large bins that you have to take your rubbish to. The plus side is you pay a lot less bin tax than in town. IMU is a property tax, similar to Council Tax. In the UK this can make up a large part of your monthly outgoings, but in Italy, if the house is your main residence, you pay nothing. Also, when you buy the property, if you declare in the deeds that you are going to become a resident within 18 months, you also get a reduction on your registration tax at the time of purchase. Once you have your residency card (Carta d’Identita) you should present it to your local tax office to make sure you aren’t overcharged. If you have agricultural land with your property you may, however, have to pay IMU on that. For our eight acres it is about €146 per year. There are some exemptions for mountain land and agricultural land owned by registered farmers. You may also be able to apply for an EU subsidy, which currently can give you an income six times the amount paid in tax. TASI is a tax to cover the costs of Municipality services such as lighting, roads, public gardens, etc. Again, this not payable on a main residence. TARI is the rubbish collection tax. It is calculated based on the size of your property and the number of inhabitants. A couple in Puglia pays around €98 per year, in Tuscany it could be €160. Individual municipalities may also issue reductions in certain circumstances e.g. to large or low income families. Some of the lowest average tax rates can be found in Calabria, Molise and Basilicata. Some of the lowest average tax rates can be found in Calabria, Molise and Basilicata. 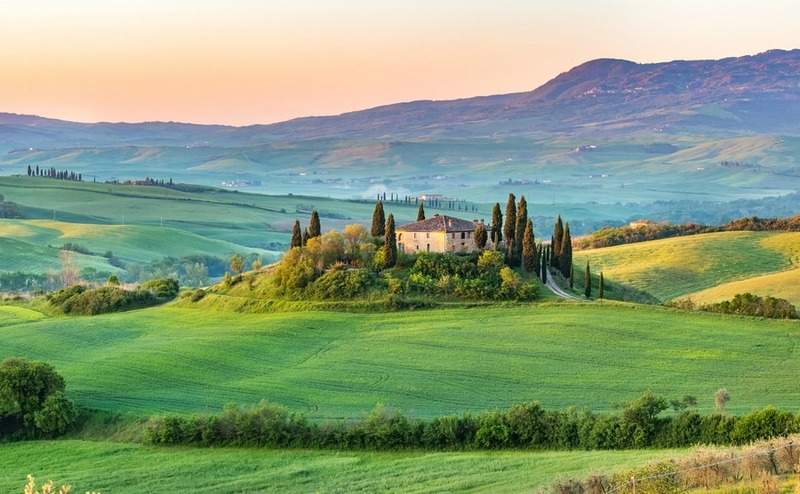 You’ll find that Veneto, Umbria, Abruzzo, Marche, Apulia and Campania all have rates well below the more upmarket regions of Tuscany, Lazio and Liguria. The local authorities don’t tend to send bills, so you need to get to know your local tax man. Our local tax man has enough trouble keeping up with changes himself, so you do need to keep up to date and pop in and see him now and again to make sure you don’t owe anything. Consider where your water comes from, as most country properties aren’t connected to mains water. In years gone by they probably just collected rain water in an underground cistern or had a small well. Nowadays you can have water delivered by truck. The most economical solution, long term, is to have an artesian well with an electric pump that brings the water up to a surface tank, which in turn is connected to your plumbing system. It costs about €4,500 to have one drilled, depending how deep they need to drill to reach the water table. But, once connected you have a free supply of water. Buy a property with land and trees you will also be able to use the wood from pruning and windfall to heat your home and provide hot water in the winter. 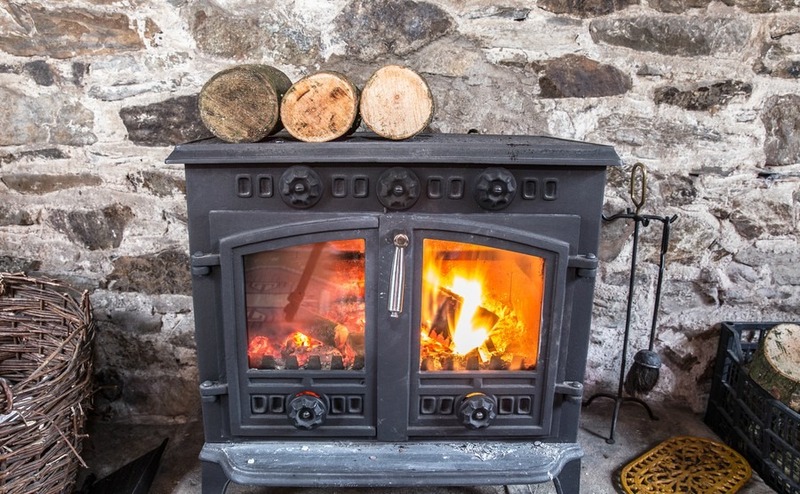 You can buy big wood-burning stoves that as well as adding a warm character look to your home, also heat two attached water tanks that can be connected to radiators, taps and showers. Our wood burner heats seven radiators and is connected to four taps and three showers. We have plenty of wood, so the only cost is electricity to pump the water around. When you need to buy the wood it costs about €350 for a medium flatbed lorry load, which should see you through a winter in Southern Italy. If you do need to have anything delivered, be it wood, water or gas, check the prices and that they deliver exactly what you have paid for. If the property doesn’t already have a solar panel for hot water, it is worth buying one. They cost in the region of €1500 + fitting. But, once installed, you have free hot water. A wood burner is an affordable means of heating your rural retreat. Electricity is likely to be one of your biggest bills. For a couple living in a detached country house you should be looking at about €70 per month, but this does also include your TV licence fee. Gas central heating can work out expensive, which is why we use wood. We do, however, like to cook on gas rings. For this purpose, we buy a gas bottle for €19. Using it twice a day we go through three of these per year. You can buy a mobile phone and pay as a little as €10 per month for services. The main companies are 3, Wind and Vodaphone. To get internet at your countryside property you need to research who has the best signal in your area. Linkem install a small receiver dish on your roof and charge €25 per month, for unlimited internet. If you would love an Italian holiday home but money is too tight to buy on your own, have you seriously considered sharing the costs (and the responsibility) with family or friends? Read our new guide, Buying Abroad With Family, which explains how, why, and how to get along! The most economical supermarket that has branches across Italy is Eurospin which is great for all the basics, and Aqua & Sapone is a popular store to buy cleaning products and toiletries. For fresh local produce visit farm shops and markets. Fruit and vegetables can be bought very cheaply and you may even want to grow some yourself. Many countryside homes have olive trees, and it is very satisfying to be able to use olive oil that comes from your own trees. You may also discover that you have nut and fruit trees and various herbs. You can even buy quality wine direct from the producers for a little as €1.50 a litre, as long as you don’t mind it being in a plastic bottle. A couple can expect to spend about €70 a week on groceries, as long as you buy local, rather than expensive imports. I have calculated that our own outgoings as a couple living in a detached four-bedroom property, with eight acres of land in Puglia, amount to €593 per month for all of the above mentioned expenses. That includes running a car, TARI, wood, heating, water, electric, gas for cooking, phone and internet. By not overstretching your budget for the house purchase and keeping a back-up fund for unforeseen expenses, you can look forward to a relaxing stress-free life in Italy.